Bravely Pursue a Life That Will Blow Your Mind! I have always wanted to be a writer. From the time I was a little girls I loved reading and dreamed of being the person who created the books I loved. I wrote stories, then bound them together in collections of short stories. My mother kept a couple and I have them now. More than 30 years later I’m finally making my dream come true. Last April I published Thriving Not Surviving: Bravely Pursue a Life That Will Blow Your Mind! . I am working on a novel. And now, the book I’ve been working on with my sister has officially been released on Amazon! I don’t know where this road might take me but I love the journey I am on. Links to our book are below (click the image to go to Amazon). There is more to do in order to promote these, and that in itself isn’t a small task. But I feel like I’m moving forward, making progress on my dreams. I’m thrilled to share this journey with all of you! When my second child was born my oldest was thrilled. She was just 15 months old at the time and she loved the little bundle we brought home. Until she wanted my attention and I was busy with the baby. As parents, when the second child is born we have high hopes that the siblings will get along. The truth is, sibling rivalry starts early and if left unchecked can lead to years of anger and frustration – both for you and your child. I will admit, that I never thought about this when my kids were little. It wasn’t until they were much older that I started to look into how to get the girls to stop fighting that the light dawned. By anyone’s standard I’m a good parent. I have always been a great mom, but as I read books like Siblings Without Rivalry: How to Help Your Children Live Together So You Can Live Too I realized what I was doing to contribute to the problem. Um, maybe it wasn’t such a good idea to make getting ready for bed a race. It worked beautifully. “Come on girls. Let’s see who can get ready for bed first!” Off they’d run, without a complaint. We were all happy. But maybe there was a better way. How to Help Siblings of Children with Autism Build Positive Relationships – In this post we specifically talk about ways a sibling of a child with autism can improve their interactions with their brother or sister. How to Help Siblings Get Along When One or More Has Autism – This is the post I should have read when my kids were little. In it we talk about siblings and conflict. Although we delve into some specifics about children with autism, there is good advice here for all parents! We have one more post coming next week on the topic of siblings before we discuss other ideas. Please join us on this journey. Follow our blog Accessible ABA and let me know what you think! I need to contribute. I am someone who needs to feel like I am making a difference in the world, no matter how small. Volunteering is a core value of mine and although my schedule makes it hard for me to commit to volunteering regularly we have been fostering for over a year now and I love it. But that’s not enough for me. I want to use my skills in a way that makes the world better in some way. I want to write in a way that helps others learn and grow. I believe my first book does that and I have many ideas for future books. But I want to do more. My sister has asked me to partner with her on her website and so I have begun working on that. She is an expert in child behavior and works with children with autism. She’s a licensed BCBA (Board Certified Behavior Analyst) with a master’s degree and plenty of knowledge but doesn’t enjoy writing the way I do. So we are combining our skills. Our first collaborative post I could have used about 10 years ago: Why Time Out Might Be Making Your Child’s Behavior Worse. Please join me on this journey. 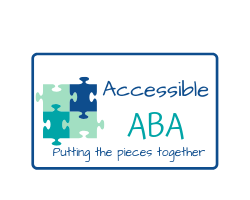 Follow our blog Accessible ABA and let me know what you think!